Get ready to flex those cartography muscles again because Etrian Odyssey V: Beyond the Myth will be launching in the Americas on Oct. 17! All of the mysteries, dangers, and FOEs that inhabit the Yggdrasil tree will be revealed very soon, so make sure your calendar is clear of any distractions. The release date in Europe will be announced at a later time. They say that whoever reaches the top of the colossal Yggdrasil will have their greatest wish fulfilled. So what's so hard about hiking up a tree? Well, besides being a gigantic labyrinth, the Yggrasil tree is home to many nightmarish creepy crawlies and terrifying FOEs just waiting for a tasty treat to come waltzing by. 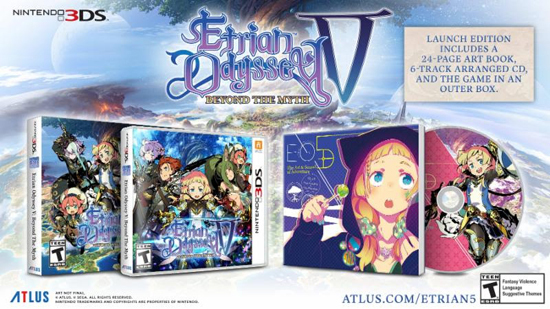 But don't let that dampen your adventurous spirit because the Etrian Odyssey V launch edition contains many treasures that will strengthen your resolve! Outer Box - The Yggdrasil tree and eager adventurers adorn this colorful outer box which protects the precious treasures it holds within. 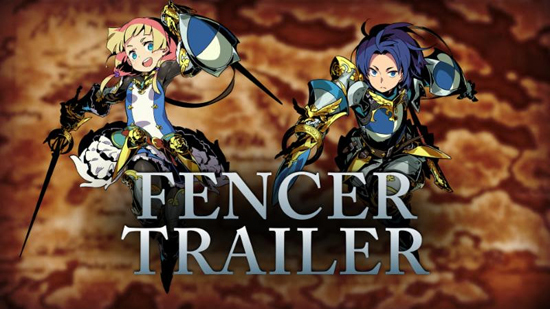 Etrian Odyssey V: Beyond the Myth will release on Oct. 17 for the Nintendo 3DS system and will be priced at $39.99.